These days, quality sleep has become a commodity — we all want more of it, and there are countless products expressly designed to help us get a better night's rest. Not surprisingly, the pillow market has expanded substantially in recent years, and the options available now extend far beyond down, polyester and memory foam. For example, at the five-star Shangri-La Hotel in Toronto, guests who prefer not to use the standard goose down–filled pillow can request alternatives from an extensive pillow menu: contour, foam, foam for side sleepers, buckwheat, lavender and cassia seed. "We have pillows that are associated with scent, pillows that would be for specific sleeping preferences, and options for individuals with allergies," says Andrew Muddiman, rooms division manager at the hotel. "The choices available have really proliferated over the last five or six years," says Jory Solomon, senior manager of sales training and strategy at Sleep Country Canada. "A store that perhaps used to have three to five pillow options might now offer 20 to 30 options." Pillow shopping today can be a complicated and bewildering process, even if you know which general type you're interested in. Everything looks kind of similar, but prices can range from $2.99 for the cheapest option at Ikea to $535 for a king-size, European goose down, made-in-Canada pillow from Au Lit Fine Linens. Each model comes with its own features and promises, though just how well a pillow works for you may simply come down to personal preference. Still, if you're in the market for a new pillow, it can be helpful to understand the differences between the most popular materials, learn about some of the new innovations, and find out why the type of sleeper you are and the mattress you have are both important in the decision-making process. 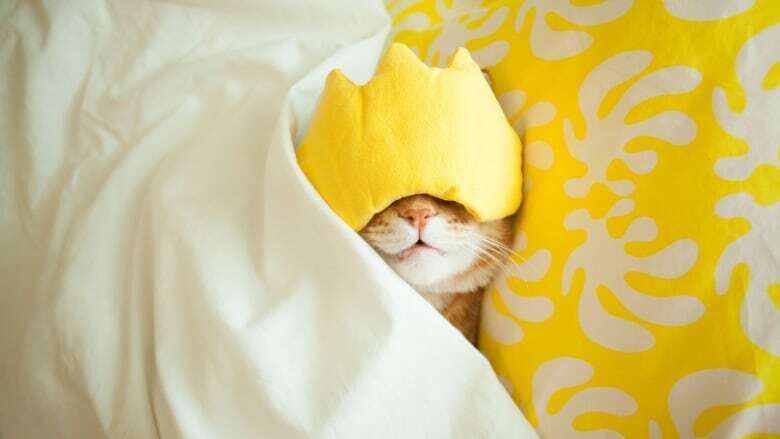 According to Solomon, who worked as a sleep expert for over a decade, it's important to keep three things in mind when hunting for a pillow: First, the type of sleeper that you are; second, how firm your mattress is (how much you sink into your mattress matters); and third, your personal taste — there's no such thing a pillow that's perfect for everybody. "Back sleepers are generally going to want a flatter, thinner type of pillow, because the space they're filling between their neck and the mattress is smaller than what a side sleeper would have to fill from their shoulder to the inside of their head," explains Solomon. "Back and stomach sleepers both tend to prefer lower loft pillows; side sleepers tend to go for medium- to high-loft styles." Keep in mind that your sleeping "type" is based on how you fall asleep at night and not necessarily your position when you wake up in the morning. "I would never recommend purchasing a pillow that you haven't tested — it would be like buying eyeglasses assuming you know what your prescription is," says Solomon. 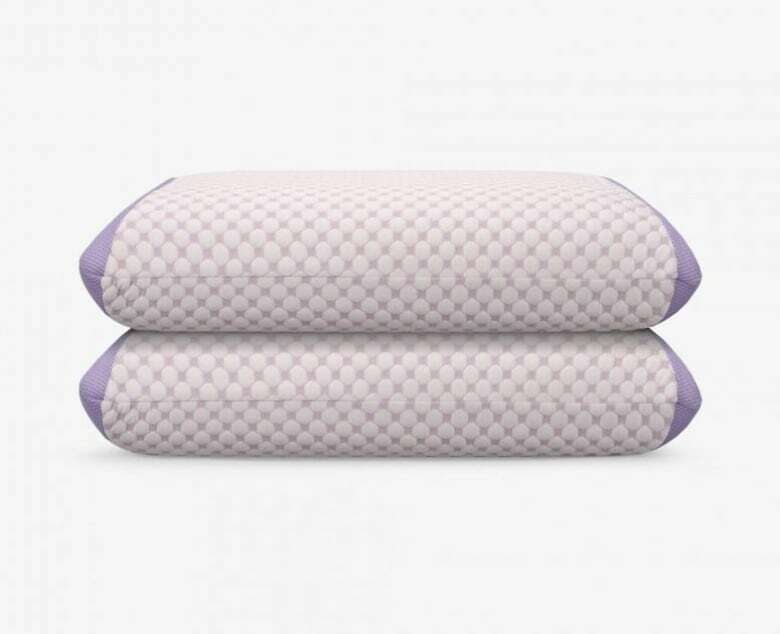 "The best way to [test pillows] is in a store that has floor models that you can sample, and has mattresses that are similar to what you sleep on." It's also helpful to test any pillow by lying on it in the same position in which you would normally sleep. "It does depend on the material and the quality of the materials," says Solomon. "Generally, you're probably looking at a new pillow every two to four years. The higher level the materials are, the better protected they are, the longer you can stretch that out." Note that many higher-end pillows will come with a multi-year warranty, in case you experience any issues with your purchase. When investing in a high-end pillow, especially one made of harder-to-clean materials, Solomon strongly recommends buying a breathable, protective case for it at the same time. 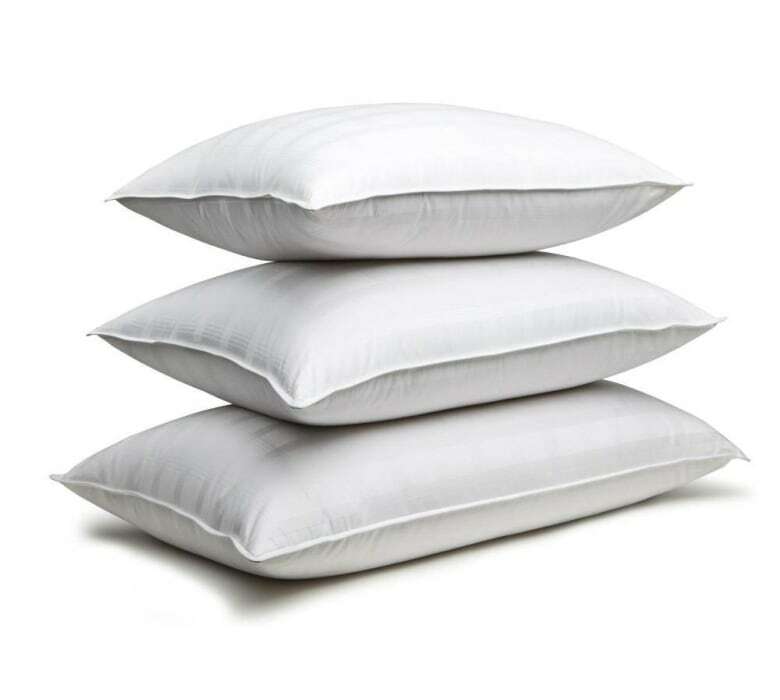 "A proper pillow protector will extend the lifespan of your pillow, because essentially the pillow never comes in direct contact with the human body," says Solomon. 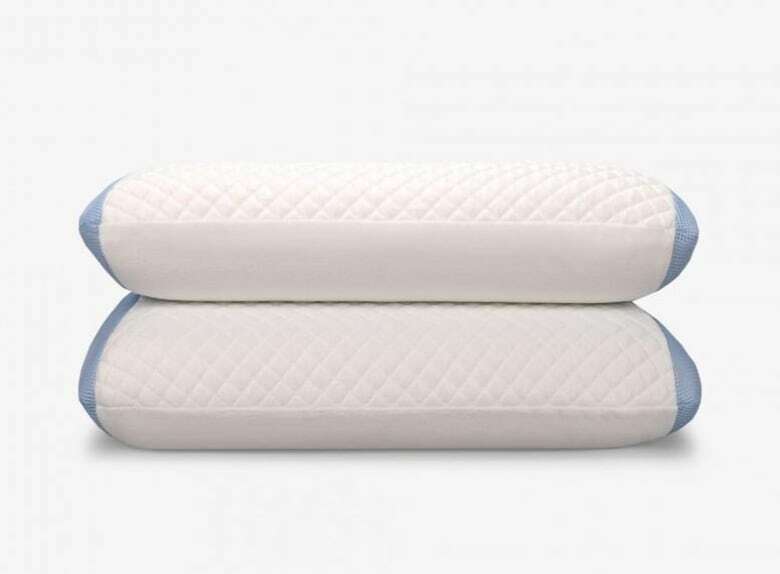 "Many of the specialized-foam pillows are moisture-sensitive, and if they take on any liquids, it's very difficult for that liquid to get out." The most popular pillow at Sleep Country in the last few years has been its Polar Tropic pillow, which is recommended for all sleeper types. "It's essentially a memory foam pillow with temperature-regulating properties," says Solomon. "Goose down is the highest quality of pillow," says Muddiman. Accordingly, expect to pay a premium for pillows filled with this natural material, especially if it's sourced in Canada or Europe. Several brands offer pillows where the firmness and height of the filling can be individually adjusted. Canadian brand Endy's version is filled with shredded bamboo and charcoal memory foam. The most popular selection on the Shangri-La's pillow menu is the scented lavender pillow. "It's a little bit different," says Muddiman. "We put a sachet filled with petals inside the pillow itself." While the hotel doesn't sell its pillows, you can try this lavender oil–infused alternative. 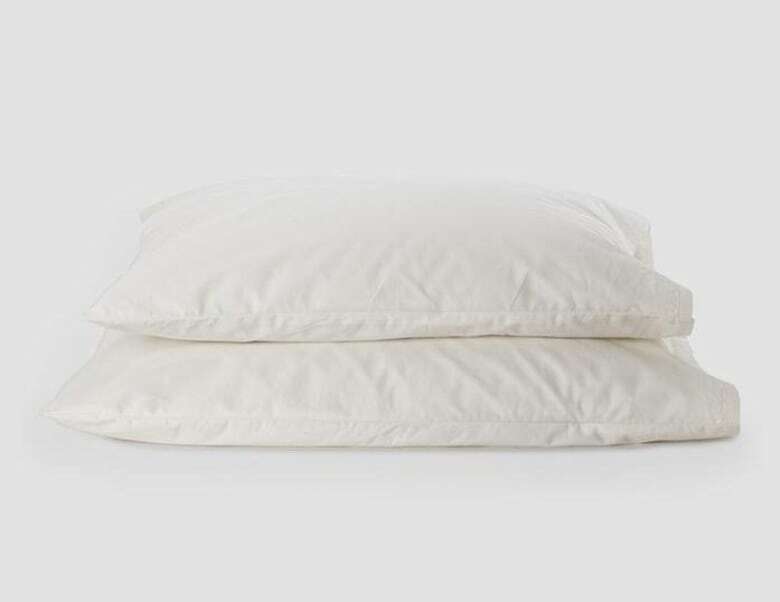 For those who are allergic to down, pillows filled with buckwheat hulls offer a natural, cooling alternative.This oneis made in Vancouverand comes with a padded cotton layer on one side of its casing.